Open Data: are local councils getting the message? I attended a highly inspirational talk at the Ordnance Survey last Thursday. The key speaker, Chief Technology Officer at the UK Government’s Cabinet Office, Liam Maxwell, spoke on “Government as a Platform” (GaaP) under the auspices of the Southern Policy Centre to a distinguished group including local and national politicians, academics, CEO’s and researchers. Maxwell is in charge of streamlining the online provision of government services and has overseen the move from the old direct.gov.uk service to gov.uk – promoting their key message that they are providing “[d]igital services so good people prefer to use them”. How successfully this is happening can be observed by exploring gov.uk’s performance data. So what is GaaP and should we mind it? The driving force behind GaaP is the Web and how it enables governments, local and national, to have a better understanding our needs, and enables us to oversee, interrogate, and participate in our government in new and potentially more effective ways. In addition to “building digital services that are simpler, clearer and faster to use”, at the heart of GaaP is shared information. Although managed by different Cabinet Office team, open data plays a significant part in lifting the lid on the workings of government. Data that was once squirreled away in Whitehall filing cabinets and town hall basements are now being made available on the Web in an unprecedented move towards greater transparency and openness in government. In this new arrangement, government, as a source of data, becomes the ‘guide on the side’ – an enabler rather than the leader of civic participation – and as active, Web-connected citizens we now have the tools to find solutions to problems that affect us. As public.resource.org assert in their ‘8 government open data principles’: “[o]pen data promotes increased civil discourse, improved public welfare, and a more efficient use of public resources.” At a time of increasing constraints on public spending, the benefits of open data, open standards and open source tools (like the Government Data Service open source platform) have the potential to effective positive change in how we use government services. There are some substantial barriers to overcome. Real concerns exist about the effective and secure management of data, as have surfaced in the debate on the government’s care.data project. Can we sure that those publishing data do so without inadvertently releasing our personal information? This requires very clear understanding of the dangers of re-identifying anonymised public data, and effective controls on how data are released for publication. In addition, there is a lack of public awareness about, and the necessary skills and knowledge to use open data effectively. This will come, with the bedding-in of new Computer Science curriculum, and through interventions like those run by the Ordnance Survey, but there is still a great deal to do before we start to see tangible benefits in the delivery of government services. 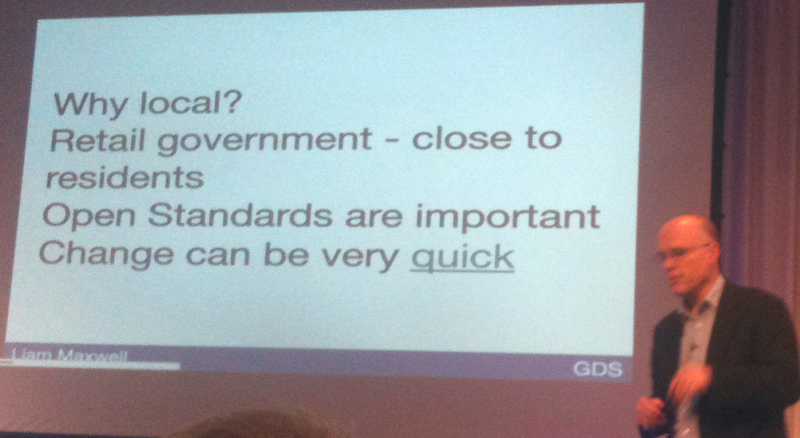 Close to home, local government are starting to adopt more transparent practice, but progress is slow. My local authority, Southampton City Council, has released some financial data – some of which could be considered as ‘3 star’, and anyone with time and motivation to find their way around MS Excel (with the NodeXL template), or Tableau software will find something of interest. Cambridge City Council have published a considerable amount of data (some 4 star), and across the country there’s a patchy, but growing amount of local government data available for all of us to interrogate. This is no small undertaking, council budgets are being squeezed at an unprecedented level, and doing something new and with uncertain outcomes is a difficult sell at the best of times. Creating exemplars of good practice is important, and the body local government looks to for advice and direction on website development, the Society of Information Technology Management (SOCITM) has created an ‘Innovation Platform‘ that promote the open government data agenda and help local councils translate policy into action. The gap between our current local government services, and how they could be better designed and managed in future, is important to us all. There are already inspiring developments – as well as the SOCITM initiative, the Local Government Association’s open data repository, the work of the Open Data Institute, and the Government Digital Service are supporting the move to more open government. The key message is that open data, open standards and open tools provide us with opportunities to develop modern, responsive public services, and to participate in improving our local economies. By way of contributing a little something to the public record, I’ve published an edited version of a video I made with the help of fellow students in 1984, while I was in the final year of a film production course at Bournemouth and Poole College of Art and Design (BPCAD – now the Arts University Bournemouth). At the time most students were entitled to grants to support their education, and when the government suddenly announced a cut in this financial support, the National Union of Students set about galvanising students into a radical response. If I recall correctly, one day in early November I got into college at my usual time, heard there was going to be a meeting to discuss what ‘action’ to take, decided that this was a story worth following, got permission from the tutors to take out cameras, lighting etc, and started recording what followed. It turned out to be an interesting ride. During the following weeks there were a lot of meetings, a march on Bournemouth town centre, a 30,000 strong rally at Queen Elizabeth Hall in London followed by a flaming torch-lit march on parliament and Downing Street by irate, chanting students. The press reported that “180 students were arrested after part of central London had been brought to a halt during the evening rush hour. Three bridges, Westminster, Waterloo and Lambeth, were closed to traffic” (The Guardian, 29 November 1984). The upshot was that, amazingly, we (the students) won. To quote The Guardian again: ” What Sir Keith, with rare brilliance has managed to do is to construct a broad coalition of profound hostility” (28 November 1984). Under pressure from Tory backbenchers, the government backed down. A parliamentary briefing paper published in 1997 also puts it very well: “Th[e] announcement gave rise to a storm of protest, focussed mainly on the imposition of tuition fees, which mobilised students, parents and backbenchers. On 5 December 1984 Sir Keith Joseph responded by announcing that the proposed contribution to tuition fees would be withdrawn”. You may notice that this video isn’t particularly high quality. This is because it was shot on Umatic video tape and 16mm film, with sync and non-sync sound, and originally edited on a Panasonic Umatic tape editing system. It was then copied onto VHS tape and from there onto DVD, and finally edited and encoded using Lightworks software. So, there’s been some image degredation over time. I’ve made an attempt to contact those who appear in the video, but as I’ve lost touch with pretty much everyone who took part, it has proven impossible to find out if anyone has any issues with sharing this. So, if anyone in the video is concerned about what they see here, please let me know. The smallest, biggest film festival in the world! Relax on our sofas and watch some of the best new short films from around the world. On Saturday, 6 December 2014 the 6th annual Couch Fest Film Festival will be held in residential homes and alternative venues around the globe – from Hong Kong to Kathmandu, from Berlin to Brasilia – and Bitterne Park Baptist Church Hall in Southampton. With a little help from my family, I’ll be hosted this unique event locally – it will not happen online and will not be televised. Couch Fest is a film festival that replaces traditional cinema halls with cozy residential venues and aims to bring movie lovers together in a comfortable, relaxed setting. Founded in 2008 by Seattle filmmaker, Craig Downing, this unique worldwide festival has built a passionate following thanks to its reliably high quality, entertaining film programs, and its open-minded “do it yourself” ethic. Says Downing, “I’m excited to provide others the chance to watch grand short films whilst sitting on their rump in living rooms all over town! What better way to get out and meet your neighbours?” No wonder Wired describe it as “the world’s most cozy film festival”. The screening at Bitterne Park presents a unique 90 minute family-friendly selection including Oscar nominated short Do I have to take care of everything?, Pink Helmet Posse, and more than 15 other brilliant international short films – many of which are still exclusively playing at some of the top film festivals in North America and Europe. So why not join Couch Fest Bitterne Park on Facebook or Eventbrite? Bitterne Park Baptist Church Hall is a few steps away from the Wellington Road stop on the no. 7 bus route linking Southampton city centre to Townhill Park. The venue is accessible to disabled guests. Please note that street parking is limited. Entry is free and doors open at 7pm, with the programme starting at 7.30pm. Tea, coffee, soft drinks and cake will be available. Please email me with any questions, or propaganda@couchfestfilms.com if you’d like to contact the festival founder or programmers. Phew! Examinations and essay writing are now over for my MSc in Web Science course and I’m now preparing to start my summer dissertation project. Two supervisors have agreed to oversee the progress of my work, the main research question of which is: can comments related to Web-based learning objects be used to good effect in the evaluation of these objects? This is essentially a learning analytics research project and my initial plan is to collect a suitably large dataset from FutureLearn MOOC’s and analyse this data using social network analysis and sentiment analysis tools. I aim to examine the learning objects and the topics discussed, the language used and what the sentiment polarity is towards these topics and objects. The objective is to identify characteristics of distinct participant roles, look for similarities in language and evaluate these in terms of established pedagogical frameworks (e.g. Dial-e, DialogPLUS) to support relevant schema.org descriptions (e.g. educationalFramework). I’m in the process of working out exactly what I’m going to do and how I’ll do it. Because it involves ‘scraping’ web sites for people’s opinions, there are ethical issues as well as theorectical and practical hurdles to be overcome. However, I believe that this type of data can be profitably used to assist with learning object evaluation and think it will be useful to find out if there’s any evidence to back this opinion up. The ‘authorship issues’ referred to in the title of this post aren’t strictly related to my studies as they have arisen from my previous employment as an Advisor at Jisc Digital Media. However, having just discovered that articles I wrote for my old employer are now being attributed to another person, I have been pondering the ‘web sciencey’ issues raised by this – like trust, provenance, the use of metadata and the nature of authorship in the digital age. By way of an example of what’s happened, here’s a link to an article I wrote about Khan Academy videos in March 2011 as preserved on the Internet Archive’s Wayback Machine (correctly attributed) – and here it is currently published on the Jisc Digital Media Blog (incorrectly attributed). Joe Chernov discusses the issue of byline re-attribution in his post: Creators vs Corporations: Who Owns Company Content? All very interesting, and a topic that I will return to in a future post. 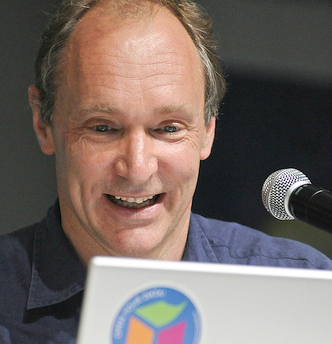 Tim Berners-Lee, the main architect of the World Wide Web (W3), developed the system while working for CERN, the European Organisation for Nuclear Research in the late 1980s. W3 was developed to overcome difficulties with managing information exchange via the Internet. At the time, ﬁnding data on the Internet required pre-existing knowledge gained through various time-consuming methods: the use of specialised clients, mailing lists, newsgroups,hard copies of link lists, and word of mouth. 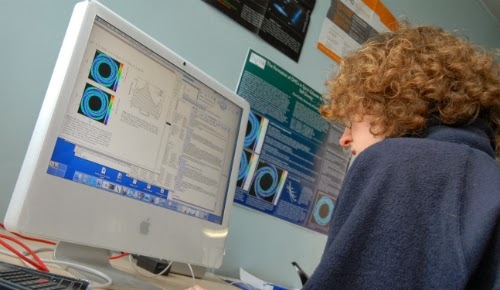 Two key systems; Hyper-G, developed by a team at the Technical University of Graz, Austria , and Microcosm, originating at the University of Southampton  were at the heart of pioneering approaches to hypermedia. Like W3, they were launched in 1990, but within 10 years both were outpaced by the formers overwhelming popularity. Ease of use, the management of link integrity and content reference, and the ‘openness’ of the underlying technology were contributing factors to W3’s success. However, both Hyper-G’s and Microcosm’s approach to linking media continue to have relevance for the future development of the Web. The Dexter Model did not attempt to specify implementation protocols, but provided a vital reference model for future developments of hypertext and hypermedia. The Model identiﬁed a ‘component’ as a single presentation ﬁeld which contained the basic content of a hypertext network: text, graphics, images, and/or animation. Each component was assigned a ‘Unique Identiﬁer’ (UID), and ‘links’ that interconnected components were resolved to one or many UIDs to provide ‘link integrity’. Towards the end of 1990, work was completed on the ﬁrst iteration of W3, which included a new Hypertext Markup Language (HTML), an ‘httpd’ server, and the Webs first browser, which included an editor function as well as a viewer. The underlying protocols were made freely available and within a few years the technology had been used and adapted by a wide variety of Internet enthusiasts who helped to spread W3 technology to wider audiences. The way we learn and the tools we use to extend our capacity for learning have always been closely interrelated. Over 2000 years ago wax tablets enabled learners to show their working, 500 years ago the introduction of movable type made books more accessible, 150 years ago the postal system provided the infrastructure for distance education, the introduction of radio and television services established the means for widespread educational initiatives, and personal computers and portable video making equipment were widely adopted by educators in the 1970s and 80s. Since the emergence of the Web 25 years ago, both learners and educators have exploited the potential of the underlying technologies and the services developed with them to support and change the way we think about learning in many fundamental ways. The educational value of the Internet was recognised at its inception and computing science academics working in universities and colleges keenly adopted the technology to share data among themselves and with their students. However, as the number of resources hosted on networked computers increased they tended to become ‘siloed’ and difficult to find. The invention of the Web fundamentally changed this environment and the way people interacted with the Internet. The underlying protocols that govern the way the Web works are based on linking electronic documents over disparate networks using web browser applications. By making the protocols open to everyone at no cost the Web’s founders allowed people to build upon the technology, for example one of the earliest adaptations introduced the search function that enables users to discover resources significantly easier than with earlier technologies. In the mid-1960s Gordon Moore identified an interesting fact about the processing power of computers – that it appeared to double every two years. Once this filtered through to computing hardware manufacturers and as the demand for personal computers increased, this became something of a self-fulfilling prophesy – one that has led to the development of ever sophisticated, ever smaller, less expensive computing devices. From laptop computers to smartphones to tablets to Google Glass and Radio-frequency identification (RFID) devices, this phenomenon has placed powerful, mobile computing into the hands of more than 1.5 billion people worldwide allowing learners and educators to access significantly more information than has been available to any previous generation. The early Web gave learners and educators a taste of what could be achieved in this new environment. 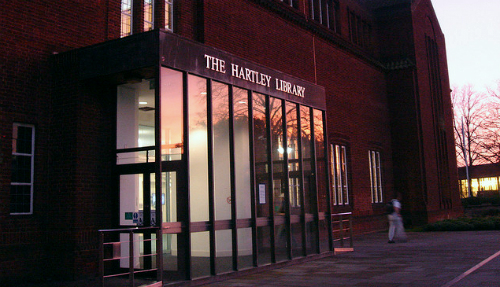 Learners could access information that had previously been ‘hidden’ in libraries and archives and educators were able to either convert existing instructional progammes, quizzes and exams into Web-enabled resources or develop new assets that guided learners through a set of learning objectives. But this essentially static, ‘read-only’ Web allowed little opportunity for learner interaction, collaboration and sharing, all vital components of the learning process. This began to change with the introduction of Wiki’s in the mid-90s. These web applications enable users to comment on or change the text on a web page that had been written by others, and provide a platform for group collaboration and sharing. In addition to inspiring the creation of the global knowledge bank that is Wikipedia, wiki’s encapsulated many of the features of a ‘read, write and execute’ web – what is commonly referred to as Web 2.0. The ability to readily create a presence on the Web via blogs, social networking, and video sharing sites has created a dynamic resource that continues to make radical changes to our learning and teaching experience. Web 2.0 applications have been embraced by learners and educators at all levels. YouTube and other video sharing sites provide a platform for user-generated how-to videos, software advice, and exemplars of arts and science disciplines (e.g. The LXD: TED Talk, Periodic Videos and Khan Academy), that inform and inspire millions of informal learners as well as students in formal education. The social networking site, Facebook is used by teachers to facilitate collaborative group work (e.g. in Music Technology at Bridgend College), and a large number of user-generated resource sharing sites (e.g. Flickr, SlideShare and Storify) and cloud computing services (e.g. Google Drive, WeVideo, and Pixlr) enable learners and educators to extend their tools and resources beyond the traditional classroom. The network of collaborative and productive spaces enabled by Web 2.0 has inspired an invigoration of constructivist educational theory and its application to a range of online learning spaces. Learners and educators are able to communicate, provide feedback and collaborate in order to co-create the learning process using a variety of free-to-access synchronous and asynchronous technologies. In constructivist theory learning takes place primarily through interaction between learners and between learners and teachers. Teachers assess the suitability of technologies in various settings and judge what are called their affordances for learning, that is, the essential features of a technology and what the interface allows learners to do. For example the affordances of Facebook may be the opportunities to support collaboration, a shared group identity and understanding of knowledge. Once the teacher is familiar with the environments they can orchestrate learning in a manner that supports learners through the process (i.e. ‘scaffolding’). The Web has also revived interest ‘autonomous education’, highlighted by interest in the ‘Hole in the Wall’ experiments undertaken by Professor Sugata Mitra in the late 90s. These experiments involved observing children’s use of Web-connected computers placed in open spaces in rural settings in India and demonstrated that children were able to learn how to use the devices, to find information and teach others how to use the computers without any instruction or guidance. While supporting opportunities for self-learning, the Web also provides a platform for delivering timely instruction and feedback that can shape learning outcomes using operant conditioning methods. This approach to teaching is based on behaviourist theory which claims that learning can be reinforced through the use of rewards and punishments. In Web-based learning environments this is normally applied through the use of ‘gamification’ techniques such as the awarding of virtual badges for achievement or through the provision of a visual indication of learner progress (e.g. a ‘progress bar’). New technologies inspire new approaches to teaching, and the Web has made a huge impact in this area. Formal education has adopted new approaches including the use of Virtual Learning Environments (VLEs), e-Porfolios, and Massive Open Online Courses (MOOCs) which support new blended learning methods. Course materials, formative assessments, lecture recordings (including video, audio and synchronised slides), and assignment information and submission form the backbone of VLEs used in most educational institutions. In addition, many institutions encourage their students to develop their own ePortfolios – a self-edited collection of coursework, blog posts and other educational activity that reflects the students’ progress, experience and knowledge gained during their time at a university of college. These are often integrated with (although kept separate from) the more formal VLE, and the institutions’ Careers Service and used as an addition to a students’ Higher Education Achievement Record. VLEs are primarily used to support ‘bricks and mortar’ educational, they are not viewed as a replacement for class-based learning, but are ‘blended’ with traditional methods. MOOCs on the other hand appear to be heralding a paradigm shift in the delivery of formal learning. This relatively new web-based form of distance learning emerged in 2008 and has its antecedents in Open Educational Resources initiatives. MOOCs typically provide opportunities for an unlimited number of learners to experience a short college or university level module (normally around 6 weeks in length), delivered using synchronous and asynchronous tutorials, web-based video, readings and quizzes. At the end of the course learners are required to produce some form of relevant feedback that demonstrates their achievement, which is then assessed by their course peers or course tutors. The early decision to open Web technologies for all was inspired by research sharing practices in academia, and as the Web has developed it has been used as a platform for sharing ideas, research and teaching. Open Access to research papers that have traditionally published by academic journals and available at a high premium, has the potential to transform learning and research. Making academic research available to everyone via the Web provides opportunities for wider access to learning for the poor and those living in rural areas, and improves the uptake of research outputs. Similarly Open Educational Resource initiatives are providing opportunities for teachers to share teaching materials, allowing others to reuse and repurpose content. Issues regarding ownership of content have been overcome in many instances through the use of Creative Commons licenses – a scheme that allows content owners to clearly show how they would like others to use their material. The increasing ubiquity of Web technologies combined with the culture of openness promoted by its founders of the Web, and increasing availability of low cost Web-enabled devices are transforming opportunities for learning and teaching, and are changing the way education is perceived. Despite inequality of access, the ‘digital divide’ and ‘web literacies’, the opportunities for accessing education are greater today largely due to the Web. The Royal Society’s influential paper on the use and misuse of risk analysis asserts that “[a]ny corporation, public utility or government will react to criticism of its activities by seeking…new ways to further the acceptable image of their activities” (Pearce, Russell & Griffiths, 1981). In the past decade the timely availability of relevant data has become widely acknowledged as having “a huge potential benefit” to the practice of risk assessment and management (Hughes, Murray, & Royse, 2012). Partly in response to climate change concerns the importance of access to data is acknowledged at a local, national and international level. To enable and encourage the wider use of public environmental and health related data, initiatives like the European Union’s INSPIRE Directive are establishing standardised, legally enforceable data infrastructures (European Union, 2014), and many governments have adopted ‘open data’ strategies. While the benefits of open data has been recognised and is being acted on in the public realm, despite the good intentions of some corporations (Ghafele & O’Brien, 2012, Alder, 2014) most commercial organisations have been slow to respond. The principle barriers to data sharing in the corporate sector have been identified as resulting from concerns over intellectual property, commercial confidentiality, and ‘cultural’ issues. While not offering any actionable recommendations to tackle these issues, the UK Government’s recent ‘Foresight’ Review asserts that “a more holistic approach to risk analysis…is undoubtedly needed” (Hughes et al, 2012). Risk analysis and management of uncertainty demand an interdisciplinary approach (Rougier et al., 2010: 4) and the purpose of this essay is to follow this course and explore the social science disciplines of Anthropology and Economics in order to propose a combined approach that includes relevant methods from both fields. While the evolution of these disciplines has followed different trajectories, and underlying methodological differences can be identified, the increasingly blurred boundaries within science ensure that the identification of discrete ontologies is problematic. The move towards transdisciplinarity involving as it does the sharing of research tools and theoretical perspectives, and the emergence of new multidisciplinary fields (e.g. economic anthropology) provides a fertile field for developing ‘Mode 2’ research propositions (Nowotny, 2001). Specifically, this essay explores the factors influencing data sharing in the hydrocarbon exploration industry (HEI) where potential exists for the timely publication of data gathered from monitoring hydraulic fracturing activity. Hydraulic fracturing, more widely known as ‘fracking’, is a technique that has been used to release and collect methane gas from shale rock for more than 60 years. The fracking process employs explosive charges and specially formulated chemical fluids pumped under high pressure to help release gas for extraction. This process takes place more than 1,500m below ground level, at a significantly greater depth than typical coal mining activities (Mair et al, 2012; Wood, 2012). The British Geological Survey estimate that “resources of 1,800 to 13,000bcm [billion cubic metres]”, the equivalent of more than 23 years supply at current UK consumption rates, are “potentially recoverable” from sites in northern and southern England (POSTbox, 2013). However exploration is required in order to discover if this potential is realisable. Public concerns about fracking focus on the possibility of increased seismic activity, leakage of chemical contaminants into the water table, air pollution caused by the leakage of methane, and the continuing reliance on carbon resources with potentially harmful effects on the world’s climate (Mair, et al, 2012; Kibble et al, 2013; Ricketts, 2013). These concerns have been expressed in public demonstrations against the process (The Guardian, 2013), and the introduction of moratoria on exploration in a number of countries. These public expressions of concern are viewed by the HEI as a significant additional risk to an already hazardous enterprise (Wood, 2012). In the UK, all industrial activities are subject to health and safety audits and some involve continuous, around the clock monitoring. For example in the HEI, Cuadrilla Resources commission Ground Gas Solutions Ltd. to provide monitoring services (Cuadrilla, 2013) which aim to: “…provide confidence to regulators, local communities and interested third parties that no environmental damage has occurred.” (GGS Ltd., 2013). Some of this data are made public via reports to regulatory authorities which can be subject to significant delay, are written in formal, technical language, and are not easily accessed by the general public (Boholm, 2003: 172). This essay proposes a interdisciplinary research methodology to explore the potential for allowing open access to real time (or close to real time) monitoring data that could help to alleviate some public concerns. Whether analysing large scale issues of national or global significance (macroeconomics) or focussing on the actions of individuals and local groups (microeconomics), the study of economics is defined by its evaluation of human behaviour in relation to the exploitation and control of scarce resources. In all disciplines there are varieties of opinion on the efficacies of different theories; in economics this can be illustrated by reference to the divergent theories regarding government intervention in markets advocated by Keynesian economists and those following the Chicago School. In practice economists prioritise their research by balancing the availability of data and the effectiveness of its collection against the needs of their audience (e.g. government agencies and corporations) and the strength of their beliefs in the determining factors that influence the behaviour of individuals in society (Kuznets, 1978). For example, when seeking solutions to economic depression a Keynesian may advocate increased government spending, whereas a Chicago School economist would suggest increased money supply, allowing a free market to correct itself. Key concepts in economics include the evaluation of the cost and benefits of future economic activity and the maximisation of utility. Predicting the outcomes of activities with varying levels of uncertainty involve the collection of relevant data, risk analysis and the evaluation of statistical probability. In high-risk investment industries the effective collection and analysis of data is vital, not least in hydrocarbon exploration, where the large rewards for discovering untapped, scarce resources are balanced by the huge investments involved in exploration. The assessment of risk plays a significant part in evaluating the potential costs and economic value of recoverable hydrocarbon resources and multidisciplinary teams comprising geologists, statisticians, legal experts, engineers and economists are engaged within the HEI to ensure that rational choices are made, resources are used to their full potential and that risk is kept ‘as low as reasonably practical” (HSE, 2014). A range of complex and exhaustive appraisal models are used in evaluation, the core aims being to use data as efficiently as possible and minimise subjectivity in order to reduce uncertainty when ascertaining the economic risks and rewards (Nederlof, 2014). Resource evaluation. This is normally undertaken using a “petroleum system model” and is based on the assumption of five independent geological processes that facilitate hydrocarbon accumulation: generation, migration, entrapment and retention and recovery (Häntschel & Kauerauf, 2009). Data for each of these processes are collected using a range of tools (e.g. Geographic Information Systems software) (Hood et al, 2000). Monte Carlo statistical analysis. This uses computer-based statistical analysis tools (e.g. Palisade Corporation, 2014) to process input variables many thousands of times using different random choices to create vectors of equally probable outcomes. A typical output from this process is a range of expectation curves which display the predicted outcomes in ascending order of probability (Nederlof, 2014). Economic appraisal. Essentially this involves translating the predicted amount of recoverable resources into a cash value. Considerations of the value of the resource need to account of inflation, predicted future prices, regulation, safety, health and environmental considerations and exploitation contracts and licences. All of these factors are subject to variations over time (e.g. possibility of a future ‘windfall tax’) and economists typically provide a number of alternative scenarios indicating the probabilities arising from the interplay of different variables (Haldorsen, 1996). While the statistical analysis of this detailed mesh of quantitative data is a powerful tool in helping decision makers in the HEI, economists understand that care must be taken in reaching definitive conclusions and in making predictions. A key concern is that primary data may be treated without a suitable understanding the historical background, conventions and collection practices that influence the production of this data (Fogel, Fogel, Guglielmo & Grotte, 2013: 96). An appreciation of the contribution of anthropological research may be helpful is this area. Although anthropologists “cast their net far and wide” (Eriksen, 2004: 45) in order to provide context for their observations, their work is undertaken primarily through close interaction with individuals and the groups they inhabit. In-depth, structured interviews are used extensively and the key research method is ‘participant observation’ – the goal being to extensively record everyday experiences as an aid to gaining new knowledge on the existence (or otherwise) of ‘human universals’ (shared characteristics). Developing from the study of ‘exotic’ cultures in the 19th and early 20th century, it is perhaps inevitable that with a field as large as the scientific study of humanity at all times and in all places would branch into a heterogeneous collection of sub-disciplines – ‘urban anthropology’, ‘design anthropology’, ‘theological anthropology’, ‘digital anthropology’, and so on. Although there probably is an ‘anthropology’ for every area of human activity, each with its own unique ontology, the features that distinguishes this social science from other, similar, disciplines (e.g. sociology) resides primarily in its approach to data collection and interpretation. Unlike researchers in most other disciplines, anthropologists immerse themselves within the social and cultural life of their subjects, living closely ‘in the field’ with the people they are studying. The purpose is to attempt to see the world from the subjects’ point of view, and to provide a rich, contextualised, ‘thick’ description and localised interpretation of this perspective (Geertz, 1994: 140). Data collection follows a systematic approach which typically focuses on particular fields of study, primarily: kinship, reciprocity, nature, thought and identification. For example an anthropologist may explore how the community they are researching view reciprocity; how gifts are exchanged, goods are paid for, and how the community view property, as well those things that cannot be exchanged or given away (Weiner, (1992: 33). Comparisons can then be made between groups with a view to establishing and understanding similarities and differences, and ultimately identifying characteristics which are unique to specific societies and those that are universally shared (Goodenough, 1970). Within the terms of this essay, perhaps the most appropriate sub-discipline to explore in some detail is where anthropologists are commissioned by commercial organisations to describe and analyse ‘organisational culture’ – what is typically referred to as ‘organisational anthropology’. Anthropologists working in the commercial sector are usually engaged in ‘problem-oriented’ research, attempting to uncover the root of human relations issues identified by corporate leaders (Catlin, 2006). Within this environment they apply anthropological methodologies to particular fields of interest, for example: work processes, group behaviour, organisational change, consumer behaviour, product design and the effects of globalisation and diversity (Jordan, 2010). The focus of this research is placed on talking with employees and management to reach descriptions and interpretations of the overall culture as well as any existing sub-cultures, with the aim of providing recommended courses of action that are relevant to the organisations’ strategic goals. In addition to work in the corporate sector the anthropologists’ practice of long-term engagement is also useful to public policymakers where collected data can be extremely useful in tracking changes in over extended periods of time (Perry, 2013). Within the HEI, anthropologists explore the relationships between companies, state organisations and communities (Stammler & Wilson, 2006), the cultural implications of the regulation of risk (Kringen, 2008), the environmental impact on communities and their resilience to exploration (Buultjens 2013), as well as land use and the social organisation of the workforce (Godoy, 1985). Finally, Monte Carlo analysis is not simply the preserve of economic analysts. The method is used in other social sciences including social anthropology (Tate, 2013), linguistics (Klein, Kuppin & Meives, 1969), education (Pudrovska & Anishkin, 2013) and public health studies (Morera & Castro, 2013) and applied to statistical analysis when evaluating and predicting incomplete or missing data. This essay has explored the relevant theories and research themes that influence those involved in economic decisions in the HEI and how anthropology approaches the study of cultures. A key element in the context of this essay is the evaluation of risk: how does the HEI balance risk and reward in the search for scarce, economically recoverable resources, and what can anthropology offer in understanding the human perception of risk. Central to the risk question, both evaluation and perception, is how data is used to aid economic decision making on the part of corporations, and to enable society to compare potential hazards and manage health and safety, and environmental concerns. When experts analyse risk in the HEI, the terms they use to define the costs and benefits of a particular course of action are highly relevant to decision makers, but may have little meaning to “people in social settings” (Boholm, 2003: 166). While the maximisation of utility through rational choices motivates the statistical analysis of potential hydrocarbon fields, from the anthropology perspective this approach fundamentally misrepresents the essentially cultural construction of risk perception (Bourdieu, 2005: 215) and has “limited relevance for explaining how people think and act in situations where there is an element of uncertainty” (Boholm, 2003: 161). Although generally useful, there are two essential problems with this approach. Firstly, anthropologists are divided on the concept of ‘culture’. In its plural form it can be seen as divisive and not conducive identifying human universals, definitions of ‘culture’ are often vague and do not acknowledge the permeability of boundaries in human society, or the possibilities for internal variation (Hannerz, 1992: 13). Secondly, when explaining ideas of risk and hazard, anthropology tends to favour definitions based on objective social phenomenon (e.g ‘taboo’ in traditional societies is viewed as a means of maintaining social order – Tansey and O’Riordan 1999: 74) rather than an individuals’ subjective consideration of risks based on available evidence (Slovic, 1987: 280). However, by taking care when making generalised statements regarding ‘culture’ and by exploring how people “identify, understand and manage uncertainty in terms of knowledge of consequences and probabilities of events” (Boholm, 2003: 166) – and by acknowledging the relevance of expert risk analysis, a consensus definition of risk can be expressed as: “a situation or event where something of human value (including humans themselves) has been put at stake and where the outcome is uncertain” (Rosa 1998: 28). Managing risks at both a corporate and community level entails the timely communication of relevant data in a form that can be readily understood by all parties. In the current setting economic analysis can provide some highly relevant expert insight into risk in the HEI, and anthropological research can describe and interpret the context of the perception and consideration of risk and uncertainty. In essence this combined approach would involve primary anthropological research methods including in-depth structured interviews, and participant observation within the HEI and affected communities. The outputs of these studies would be used to inform a more nuanced approach to uncertainty and risk in economic modelling and the use of computational methods (including Monte Carlo analysis) to predict the effects of social vulnerability and environmental protest activity on hydrocarbon exploration. By adopting this form of research methodology it is proposed that an effective approach to communicating risk can be formulated which may encourage a more transparent publication of data and help the HEI “to further the acceptable image of their activities” (Pearce, et al., 1981). Alder S., 2014. Now here’s what you could really create with open data. Telefónica Digital Hub. [Online] Available at: http://blog.digital.telefonica.com/2013/09/15/open-data-telefonica-dynamic-insights/ [Accessed 4 January 2014]. Boholm A., 2003. The cultural nature of risk: Can there be an anthropology of uncertainty? In Ethnos: Journal of Anthropology, 68:2, 159-178. [Online] Available at: http://www.tandfonline.com/doi/abs/10.1080/0014184032000097722#.Us6-TtJdWSq [Accessed 6 January 2014]. Bourdieu, P., 2005. The Social Structures of the Economy, Cambridge: Polity. [Online] Available at: http://goo.gl/mjV5HL [Accessed 8 January 2014]. Buultjens, J., 2013. Introduction – Special Edition: The Economic and Social Policy Implications of the Coal Seam Gas (CSG) Industry in Australia. In Journal of Economic and Social Policy, 15:3. [Online] Available at: http://epubs.scu.edu.au/jesp/vol15/iss3/1 [Accessed 6 January 2014]. Catlin, L. B., 2006. What in the world is an organizational anthropologist? Claymore Associates, Inc. [Online] Available at: http://www.lindacatlin.com/whatintheworld.pdf [Accessed on 8 January 2014]. Cuadrilla, 2013. Balcombe, West Sussex. [Online] Available at: http://www.cuadrillaresources.com/our-sites/balcombe/ [Accessed 13 October 2013]. Eriksen, T. H., 2004. What is Anthropology? London: Pluto Press. European Union, 2014. INSPIRE: Infrastructure for Spatial Information in the European Community. [Online] Available at: http://inspire.jrc.ec.europa.eu/ [Accessed 3 January 2014]. Fogel, R. W., Fogel, E. M., Guglielmo, M., & Grotte, N., 2013. Political Arithmetic: Simon Kuznets and the Empirical Tradition in Economics. Chicago and London: University of Chicago Press: [Online] Available at: http://lib.myilibrary.com/Open.aspx?id=484552 [Accessed 2 January 2014]. Geertz, C., 1994. Thick description: Toward an interpretive theory of culture. In Readings in the philosophy of social science, 213-231. [Online] Available at: http://civirtual.comunicamos.org/wp-content/uploads/group-documents/4/1363016634-denzin_lincoln_turning_points_qual_research_2003.pdf#page=152 [Accessed 5 January 2014]. Ghafele, R. D. & O’Brien, R., 2012. Open innovation for sustainability: Lessons from the GreenXchange experience. In: International Centre on Trade and Sustainable Development Policy Brief No. 13, 1-10. [Online] Available at: http://mpra.ub.uni-muenchen.de/40440/ [Accessed 30 December 2013]. Godoy, R., 1985. Mining: anthropological perspectives. In Annual Review of Anthropology, 14, 199-217. [Online] Available at: http://www.jstor.org/stable/2155595 [Accessed 7 January 2014]. Goodenough, W. H., 1970. Description and comparison in cultural anthropology. New York: Press Syndicate of the Cambridge University. [Online] Available at: http://goo.gl/ze8ADQ [Accessed 6 January 2014]. GGS Ltd., 2014. Ground Gas Solutions Limited home page [Online] Available at: http://ground-gassolutions.co.uk/ [Accessed 13 October 2013]. The Guardian, 2013. Fracking protesters gather for six-day camp as Balcombe drilling suspended, 16 August 2013. [Online] Available at: http://www.theguardian.com/environment/2013/aug/16/fracking-protesters-camp-balcombe-drilling [Accessed 10 October 2013]. Haldorsen, H. H., 1996. Choosing between rocks, hard places and a lot more: the economic interface. In Norwegian Petroleum Society Special Publications, 6, 291-312. [Online] Available at: http://www.sciencedirect.com/science/article/pii/S0928893707800257 [Accessed 30 December 2013]. Hannertz, U. 1992. Cultural Complexity. New York: Colombia University Press. [Online] Available at: http://goo.gl/1jV7c7 [Accessed 15 October 2013]. Häntschel, T., and Kauerauf, A. I., 2009. Fundamentals of Basin and Petroleum Systems Modeling. Springer: Berlin Heidelberg. [Online] Available at: http://link.springer.com/book/10.1007%2F978-3-540-72318-9 [Accessed 29 December 2013]. Health and Safety Executive (HSE), 2014. ALARP – As low as reasonably practicable. [Online] Available at: http://www.hse.gov.uk/comah/alarp.htm [Accessed 10 January 2014]. Hood, K. C., South, B. C., Walton, F. D., Baldwin, O. D., & Burroughs, W. A., 2000. Use of geographic information systems in hydrocarbon resource assessment and opportunity analysis. In Geographic information systems in petroleum exploration and development: AAPG, Computer Applications in Geology, 4, 173-185. [Online] Available at: http://archives.datapages.com/data/specpubs/ca04/chap12/ca04ch12.htm [Accessed 29 December 2013]. Hughes, R., Murray, V., & Royse, K., 2012. Data sharing: Commissioned Review, Foresight, Government Office for Science: London UK. [Online] Available at: http://nora.nerc.ac.uk/20726/ [Accessed 29 December 2013]. Jordan, A. T., 2010. The importance of business anthropology: its unique contributions. In International Journal of Business Anthropology, 1:1, 15-25. [Online] Available at: http://www.na-businesspress.com/IJBA/JordanWeb.pdf [Accessed 7 January 2014]. Kibble, A., Cabianca, T., Daraktchieva, Z., Gooding, T., Smithard, J., Kowalczyk, G., McColl, N. P., Singh, M., Vardoulakis, S. and Kamanyire, R, 2013. Review of the potential public health impacts of exposures to chemical and radioactive pollutants as a result of the shale gas extraction: Draft for Comment. Centre for Radiation, Chemical and Environmental Hazards, Public Health England. [Online] Available at: http://www.hpa.org.uk/Publications/Environment/PHECRCEReportSeries/1310Reviewofthepotentialhealthimpactsshalegas/ [Accessed 5 January 2014]. Klein, S., Kuppin, M. A., & Meives, K. A., 1969. Monte Carlo simulation of language change in Tikopia & Maori. In Proceedings of the 1969 conference on Computational linguistics 1-27. Association for Computational Linguistics. [Online] Available at: http://ftp.cs.wisc.edu/pub/techreports/1969/TR62.pdf [Accessed 8 January 2014]. Kringen, J., 2008. Culture and control: Regulation of risk in the Norwegian Petroleum Industry. PhD. University of Oslo. Available at: https://www.duo.uio.no/handle/10852/17876 [Accessed 4 January 2014]. Kuznets, S., 1978. Problems of Quantitative Research in Economics. In Philippine Review of Economics, 15:1. [Online] Available at: http://pre.econ.upd.edu.ph/index.php/pre/article/view/416 [Accessed 29 December 2013]. Mair, R., Bickle, M., Goodman, D., Koppelman, B., Roberts, J., Selley, R. & Younger, P., 2012. Shale gas extraction in the UK: a review of hydraulic fracturing. The Royal Society and The Royal Academy of Engineering. [Online] Available at: raeng.org.uk/shale [Accessed 29 December 2013]. Morera, O. F., & Castro, F. G., 2013. Important Considerations in Conducting Statistical Mediation Analyses. American journal of public health, 103:3, 394-396. [Online] Available at: http://ajph.aphapublications.org/doi/abs/10.2105/AJPH.2012.301047?journalCode=ajph [Accessed 8 January 2014]. Nederlof, M. H., 2014. Geology and Energy Analysis. [Online] Available at: http://www.mhnederlof.nl/ [Accessed 28 December 2013]. Nowotny, H., 2001. The transformation society, from Nowotny, H. Re-thinking science : knowledge and the public in an age of uncertainty. Cambridge : Polity Press, 1-20. [Online] Available at: https://www.dd.library.soton.ac.uk/HL/EDUC6236/00508795.pdf [Accessed 5 January 2014]. Palisade Corporation, 2014. @RISK Helps Newly-deregulated Eastern European Power Market Meet EU Standards. [Online] Available at: https://www.palisade.com/cases/Transelectrica.asp [Accessed 30 December 2013]. Pearce, D. W., Russell, S., & Griffiths, R. F., 1981. Risk assessment: Use and misuse [and discussion].In Proceedings of the Royal Society of London. A. Mathematical and Physical Sciences, 376:1764, 181-192. [Online] Available at: http://rspa.royalsocietypublishing.org/content/376/1764/181.full.pdf [Accessed 30 December 2013]. Perry, S. L., 2013. Using Ethnography to Monitor the Community Health Implications of Onshore Unconventional Oil and Gas Developments: Examples from Pennsylvania’s Marcellus Shale. In NEW SOLUTIONS: A Journal of Environmental and Occupational Health Policy, 23:1, 33-53. [Online] Available at: http://www.ncbi.nlm.nih.gov/pubmed/23552647 [Accessed 5 January 2014]. POSTbox (Parliamentary Office of Science and Technology), 2013. UK Shale Gas Potential: Shale Gas Resource and Reserve Estimates. [Online] Available at: http://www.parliament.uk/documents/post/ShaleGas_POSTbox.pdf [Accessed 5 January 2014]. Pudrovska, T., & Anishkin, A., 2013. Clarifying the Positive Association Between Education and Prostate Cancer A Monte Carlo Simulation Approach. In Journal of Applied Gerontology. [Online] Available at: http://jag.sagepub.com/content/early/2013/01/30/0733464812473798.abstract [Accessed 8 January 2014]. Ricketts, A., 2013. Investment Risk: An Amplification Tool for Social Movement Campaigns Globally and Locally. In Journal of Economic and Social Policy: 15:3. [Online] Available at: http://epubs.scu.edu.au/jesp/vol15/iss3/4 [Accessed 4 January 2014]. Rosa, E. A., 1998. Metatheoretical Foundations for Post-Normal Risk. In Journal of Risk Research, 1:1, 15–44. [Online] Available at: http://www.tandfonline.com/doi/pdf/10.1080/136698798377303 [Accessed 8 January 2014]. Rougier, J., Sparks, S., Aspinall, W., Cornell, S., Crosweller, S., Edwards, T., Freer, J., Hill, L., & Hincks, T., 2010. SAPPUR: NERC Scoping Study on Uncertainty and Risk in Natural Hazards. Summary and recommendations. Bristol Environmental Risk Research Centre (BRISK), University of Bristol, UK. [Online] Available at http://www.nerc.ac.uk/research/programmes/pure/documents/sappur-summary-report.pdf [Accessed 3 January 2014]. Slovic, P., 1987. Perception of Risk. In Science, New Series, 236:4799, 280-285 [Online] Available at: http://www.uns.ethz.ch/edu/teach/0.pdf [Accessed 9 January 2014]. Stammler, F., & Wilson, E., 2006. Dialogue for Development: An Exploration of Relations between Oil and Gas Companies, Communities, and the State. In Sibirica, 5:2, 1-42. [Online] Available at: http://dx.doi.org/10.3167/136173606780490739 [Accessed 5 January 2014]. Tansey, J. & O’Riordan, T., 1999. Cultural Theory and Risk: A Review. In Health, Risk & Society, 1:1, 71–90. [Online] Available at: http://paul-hadrien.info/backup/LSE/IS%20490/utile/cultural%20theory%20and%20risk%20review.pdf [Accessed 8 January 2014]. Tate, E., 2013. Uncertainty analysis for a social vulnerability index. In Annals of the association of American geographers, 103:3, 526-543. [Online] Available at: http://www.tandfonline.com/doi/abs/10.1080/00045608.2012.700616#.Us2S3_RdV8H [Accessed 8 January 2014]. Weiner, A. B., 1992. Inalienable possessions: The paradox of keeping-while-giving. University of California Press. [Online] Available at: http://goo.gl/kpbMJd [Accessed 7 January 2014]. Wood, J., 2012. The global anti-fracking movement: what it wants; how it operates and what’s next. Control Risks. [Online] Available at: http://www.controlrisks.com/Oversized%20assets/shale_gas_whitepaper.pdf [Accessed 5 January 2014]. Last Saturday I attended Speakerthon, a collaborative web-enhancement event organised by BBC R&D and Wikimedia UK. The aim of the day was to interrogate the BBC Radio 4’s permanently available archive (e.g. The Woman’s Hour Collection), select clips of notable people speaking and add them to Wikipedia. Wikimedia UK’s Andy Mabbett thought up the idea and has spent the past 2 to 3 years convincing BBC decision makers of the efficacy of opening up their archive. In addition to applying open licences to BBC content, providing a rich layer of information to Wikipedia entries, and adding good quality linked data to the Web, the visibility of the archive is greatly enhanced, and tagged clips will be used to teach applications to automatically identify voices in the archive (e.g. The World Service Radio Archive Project), thereby making BBC researchers jobs a great deal easier. The day started with a briefing session. We were shown how to use the BBC ‘Snippets‘ software (sadly only made available to us on the day), and what type of clips to listen out for. Finding 20 to 40 second clips of individuals talking, preferably about themselves or their field of work, without interruption or any background music was frustrated on some programmes by over enthusiastic interviewers who would insist on butting in, whereas others (like Desert Island Discs) proved to be a goldmine of useful clips. Once a clip was identified and selected, ‘Snippets’ created a URL, which we manually added to a Google Docs spreadsheet along with the persons name and gender, Wikipedia URL, and programme archive URL. This was then picked up by the BBC editorial team, who checked ‘compliance’ (i.e. the suitability of the clip and any outstanding copyright issues), trimmed and edited the clip (using Audacity a free audio editor), encoded it to the open source .flac format, and uploaded it to Wikimedia. At the time of writing about 100 clips have been uploaded out of the 300 created on the day. I added eleven clips to the Google Docs spreadsheet, three of which have been uploaded to Wikimedia. So far I’ve embedded voice clips and metadata for Owen Hatherley and Claire Skinner, and three of the clips: Guglielmo Marconi, his second wife Maria Cristina Bezzi-Scali and John Scott-Taggert (the first person to receive a radio message from a ship in distress) are awaiting confirmation of their copyright status. It was a real joy to take part in this collaborative cyberspace project and to be in at the start of a project that has the potential to have an effect considerably greater than the sum of its parts. Please note: While capturing audio from the BBC’s web archive and uploading it to Wikipedia (or anywhere else) is relatively straight-forward, doing so without the express permission of the BBC infringes their copyright. Earlier this month, Dr Lisa Bernasek, Academic Coordinator for Languages, Linguistics and Area Studies approached us with a request for assistance. Like many academics who recognise the benefits blogging in support of learning, Lisa had included a blog post writing requirement as part of her new The Arab World (in and) Beyond the Headlines module. She asked students to contribute posts outlining their reflections on developments in the Arab world to the modules’ blog site, the aim being to help them organise their thoughts on the topic, give feedback (both student to student and student to tutor), and to keep a record of their progress. The problem was most of her 60 students had no experience of using blogging applications and only a few had used WordPress (the University’s blogging app of choice). As WordPress is widely used it’s very likely that students will come into contact with it, and use it, in their future employment. In fact I re-built my own business web site using WordPress earlier this year and regularly use it to blog about my work. an introduction to embedding media within posts. Feedback from the workshops was good, and we expect to run similar sessions with the next cohort taking this module. If you need assistance getting started with WordPress, or using other digital and social media, please get in touch.